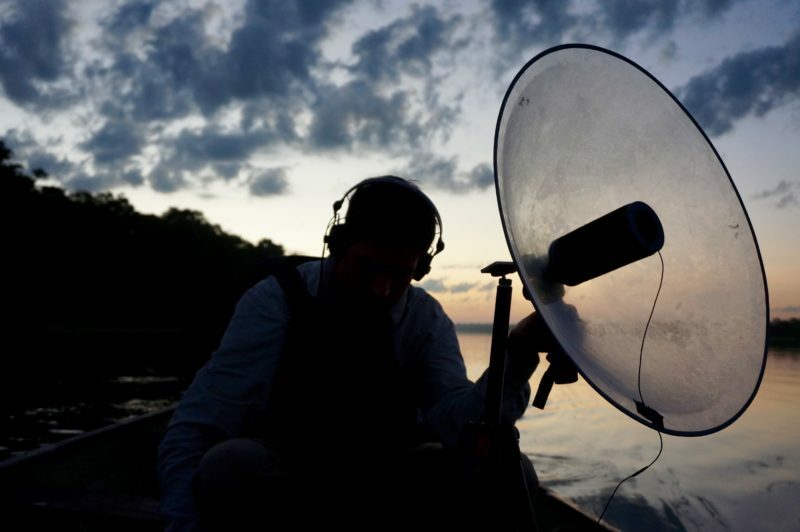 Pablo Sanz is an artist, composer, sound recordist and researcher. His body of work includes site-specific and public art projects, immersive multichannel live performances and installations, exhibitions, broadcasts, pieces for headphone listening and releases. His practice is guided by his interests in time, space, materiality, nonhuman vitality and otherness. Through a continuum of approaches, his environmental sound works investigate the vibrant entanglements and creativity of bodies, creatures, energies, materials, spaces, and technologies. Pablo´s practice explores the limits and thresholds of human perception and attention, encouraging sensory ecological awareness and a phenomenal (experiential) engagement with the world. Listening becomes a political act, intended to resist dominant tendencies in contemporary societies, cultivating alternative forms of being and thinking. Pablo´s works have been experienced in exhibitions and performances in the UK (Cafe Oto, EARSHOTS!, Goldsmiths, Soundfjord, Acoustic Ecology Symposium, Sonorities Festival, PS² Gallery), Spain (CentroCentro, Fundación Juan March, La Casa Encendida, Matadero Contemporary Art Center, Tabacalera, In-Sonora, Sonikas Festival, Sala de Arte Joven de Madrid, National Auditorium), The Netherlands (STEIM, B93, (h)ear, Rhizomatic, Loos), Austria (VELAK), Belgium (Q-O2, HS63), Czech Republic (Gallery Školská 28, Ostrava Days, PRAHA), France (Apo33), Germany (Künstlerhaus Dortmund, ZKM Karlsruhe), Hungary (Aurora), Italy (Helicotrema), Poland (MWW Contemporary Museum, Urban Observatory), Portugal (Sonoscopia, Invisible Places), Slovenia (Kinošiška, Beli Šum), Brasil (FILE: Electronic Language Festival), USA (Brooklyn Acoustic Ecology Festival), and Australia (Sonic Environments Brisbane), among others. Pablo has participated in numerous artist residencies including ARE Holland (Enschede), CONA Institute for Contemporary Arts Processing (Ljubljana), INLAND Campo Adentro: Art, Agriculture & Territory (Barcelona), Matadero Contemporary Art Center (Madrid), Nau Côclea (Girona), Q-O2 (Brussels), Mamirauá Institute (Amazonas, Brazil), LASom Laboratory for Sonic Arts and Acoustics (Campinas, São Paulo), Sonoscopia (Porto), and VICC Visby International Centre for Composers (Gotland, Sweden), among others. He has produced commissioned radio works for Radio Reina Sofía Museum in Madrid, FON Air in Cumbria, and the Atelier de Création Sonore Radiophonique in Brussels, and has released pieces in collaboration with Framework Editions (EE), Gruenrekorder (DE), Sonic Terrain (COL), Vacuamoenia (IT), and Very Quiet Records (UK), among other labels and platforms. Awards and mentions include Süden Radio (Radio Papesse, Italy, 2017), Europe: A Sound Panorama (Goethe Institute, Deutschlandradio Kultur, ZKM Karlsruhe, 2011), and the 5th On Air Radiophonic Art Prize (Círculo de Bellas Artes, Madrid, 2009). Pablo has given talks and facilitated seminars and workshops in the United Kingdom, Spain, The Netherlands, Czech Republic, and Brazil. In 2004 he was a co-founding member of Mediateletipos.net, an autonomous collective initiative devoted to the research and dissemination of aural culture, experimental music and sonic arts. He also worked as an editor in the now defunct ArteSonoro.org and in commissioned curatorial projects for Sonar Festival in Barcelona and Sensxperiment in Córdoba, Spain. Pablo graduated at the University of the Arts of The Hague, working at the ArtScience Interfaculty and the Institute of Sonology in the Royal Academy of Arts and the Royal Conservatoire. He holds a PhD in Electroacoustic Music Composition and Sonic Arts (‘Environmental Composition / Ecological Sounding Art Approaches’) by the Sonic Arts Research Centre (SARC), Queen ́s University Belfast (QUB), Northern Ireland, UK.